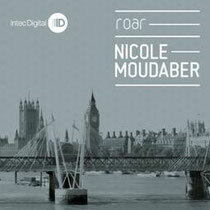 For the latest release on his Intec Digital imprint, Carl Cox has re-enlisted the talents of Nicole Moudaber, who returns to the label with the ‘Roar EP’. The pair have a long-standing relationship which has seen Nicole become both a regular guest at Carl Cox’s ‘Revolution’ night at Space Ibiza and also deliver her inaugural release for Intec Digital in 2011. The previous 12 months saw Nicole release two EPs on Drumcode, alongside outings on Kling Klong and Leena Music. Now Nicole steps into the New Year with two trademark percussive techno tracks. First up is title-track ‘Roar’ on which Nicole’s hard-hitting drums remain constant and commanding throughout. On top of this tough bass Nicole gradually adds other elements such as a shimmering melody, brooding synths and an echoing vocal, which serves to build the atmosphere and tension in the track to boiling point about six minutes in, upon which the track breaks back down into its percussive groove. Next up on a funkier techno tip is ‘Brooklyn Hangover’. While the track is again centred on tightly-programmed tribal drums, the overall vibe is much more playful as melodic stabs are given a prominent position resulting in an infectious techno cut. Out 28th January 2013.